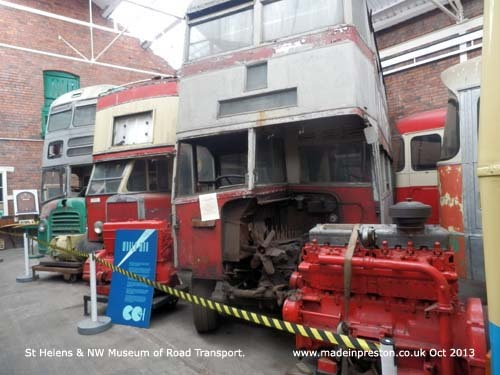 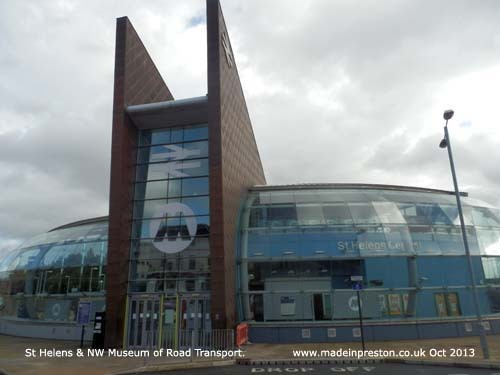 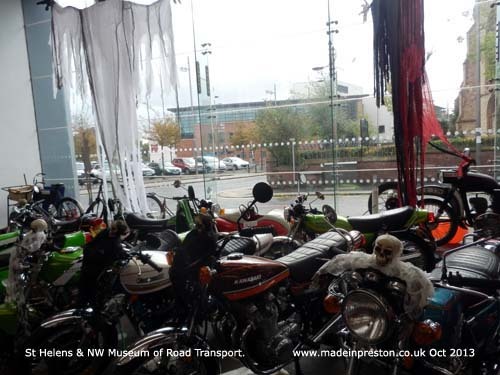 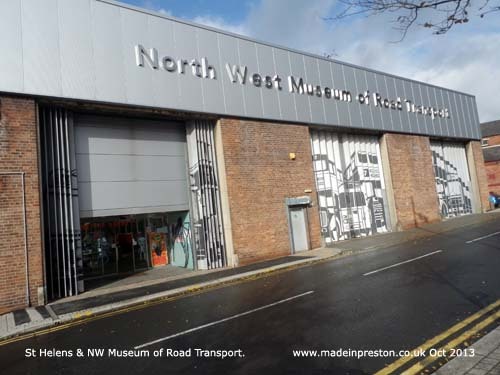 The museum is an ex-bus depot that has been smartened close to St Helens Central Railway Station and the Bus Station and with council run car parks at the front and the rear. 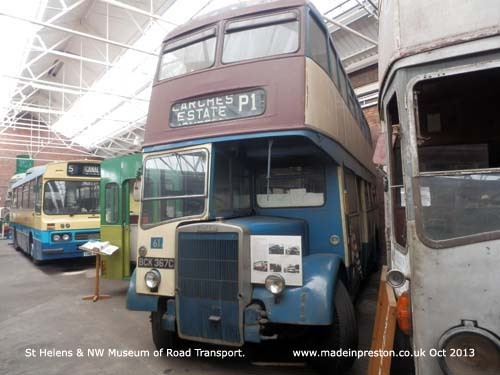 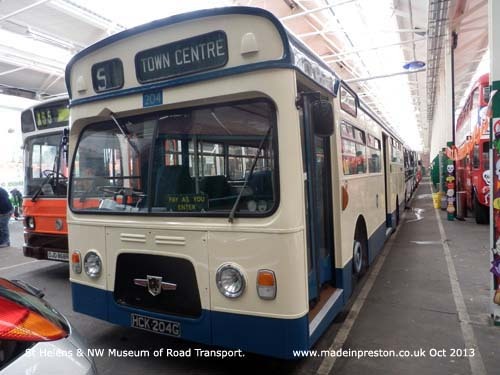 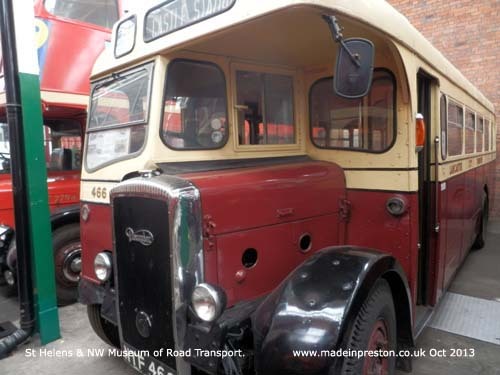 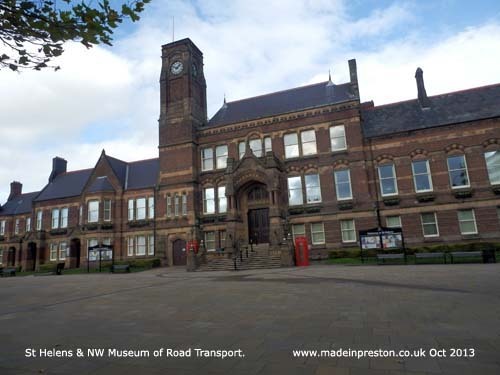 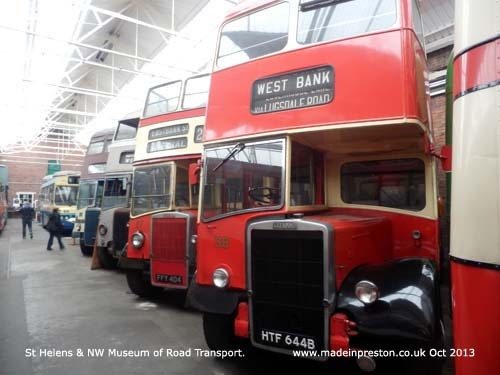 Inside the museum are buses from many of the towns in the neighbourhood: Preston, Lancaster, Warrington, Chester, Lancashire United. 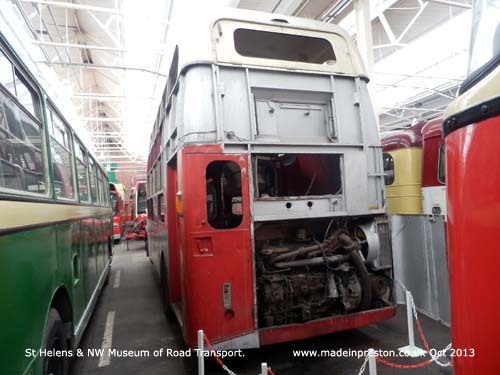 There are also some interesting buses in need of restoration. 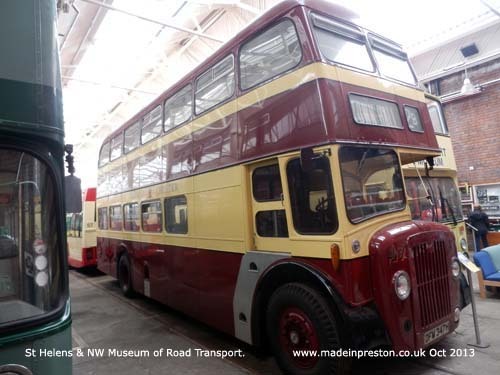 It never fails to impress that no matter how poor the condition of a bus is, it is rarely too late to restore it. 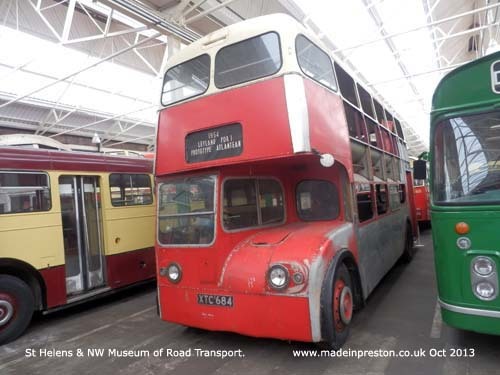 Most interesting, I thought, is the Atlantean Prototype from 1953. 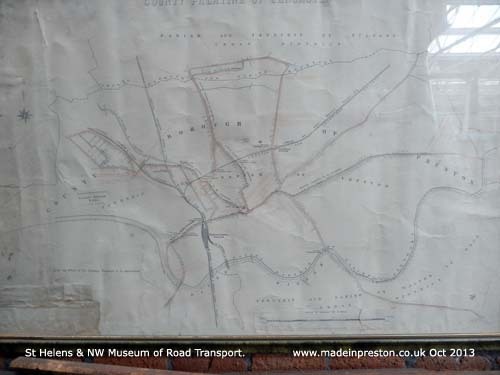 There are a number of locally interesting features such as a large map of the tram routes of Preston. 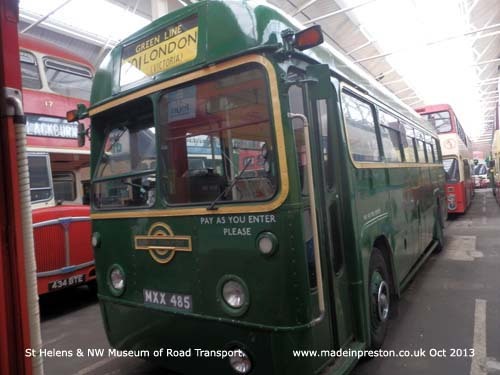 Preston Bus - 1950's updated in the 60s. 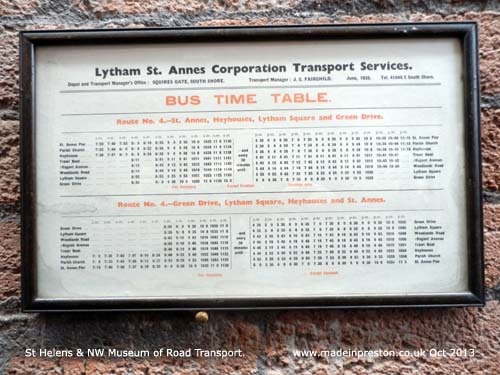 Leylands looking for a friend. 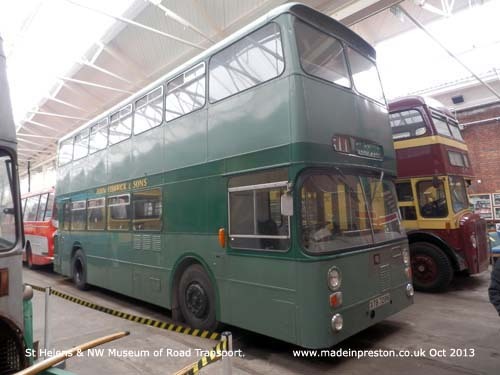 Atlantean Prototype PDR1 - rear engined but with entrance still at the rear.